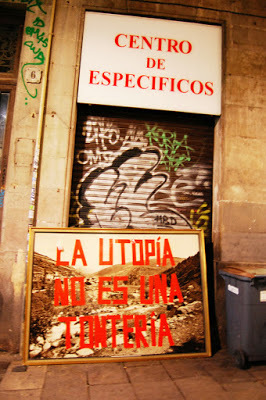 Here is the story of how “La Utopía no es una Tontería” (Utopia is no Silliness) ended up at yök! Basically, Petz and her partner found the huge picture in the street, on a summer evening in the Gótico! They didn’t think much about it and grabbed it to take it home, even though it wouldn’t even fit up their staircase in the narrow building of the old town. The couple noticed that they were being followed by a guy and a film camera! This guy was Carlitos, from the creative agency Carlitos & Patricia. They explained that the picture was a result of a project they did for a client years ago, but that, it did no longer fit into their studio. So, they decided to put it on the street and document the reaction of people passing by to see who it would end up with. Check the full stories, in photos, here! 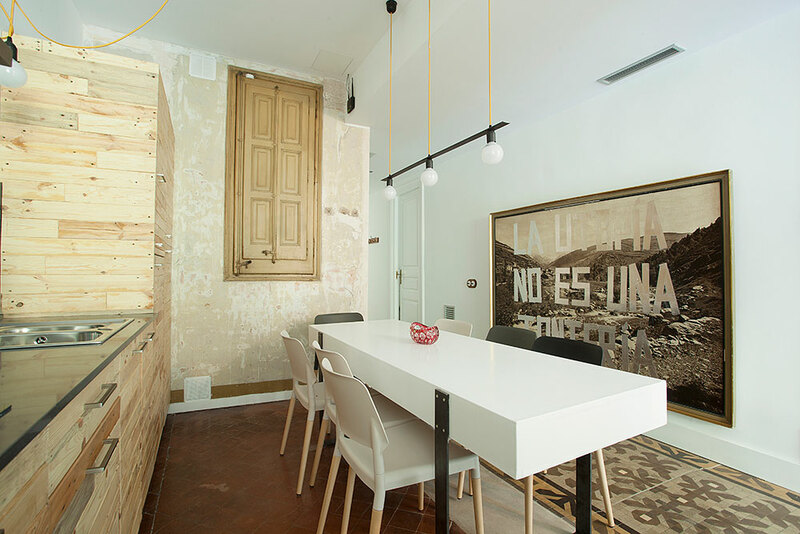 The Utopía managed to survive the full eco-renovation in 2014 and has been hanging in Casa C ever since!